BWF Singapore Open is a super-500 World Tour event featuring some of the biggest stars, including prominent Indians like PV Sindhu and Saina Nehwal. After an interesting finish to Malaysian Open, big names in the world of badminton are back in action for the BWF Singapore Open – a super 500 event beginning April 9. With Lin Dan registering a major win after a long time and Tai Tzu Ying returning to her usual brilliance, the stage is set for another exciting six days of high-quality badminton. There is a lot of interest from the Indian point of view also. Both PV Sindhu and Saina Nehwal will be in action. So will be four top men's singles players of the country: Kidambi Srikanth, B Sai Praneeth, Sameer Verma and HS Prannoy. Like most BWF tournaments, the early rounds of the Singapore Open won't be accessible to TV viewers. The coverage begins on Friday, April 12 at 10:30 am IST on Star Sports 2 and Star Sports 3 and Star Sports 2 HD. Online streaming will be on Hotstar. Big stakes in women's singles? 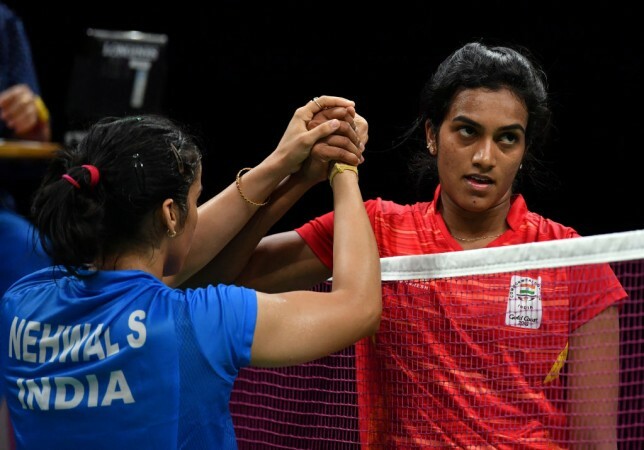 PV Sindhu: After breaking the jinx of losing finals in last year's BWF World Tour Finals, Sindhu was expected to reach new heights. Instead, 2019 has been a miserable year so far for her. Defeat to Saina Nehwal in the Nationals was followed by shock early exits in All England and Malaysia Open – both courtesy Sung Ji Hyun. A semi-final loss in the Indian Open also made matters worse. She even went back to her coach Pulella Gopichand's academy but the results are yet to be seen. Her body language in matches also suggests a lack of form. She can't afford another early exit. Saina Nehwal: With a World Tour title and the Nationals already under her belt, Saina is showing glimpses of her old form. The presence of her husband Parupalli Kashyap at courtside also seems to be having a good effect. Will another successful run ensue in Singapore? Tai Tzu Ying: Wizard of badminton is back to her winning ways. The most attractive player to watch in world badminton today – among both genders – her effervescent style and majestic stroke-play is always a delight to behold. Nozomi Okuhara and Akane Yamaguchi: The diminutive Japanese girls are among the fittest. Yamaguchi lost to Tai in Malaysian Open final while Okuhara succumbed to her compatriot in the semis. Both would be among the top contenders for the title. Ratchanok Intanon: Semi-finalist in Malaysia, Ratchanok also possesses great skills like Tai. However, she hasn't reached the heights of success that her triumph in the 2013 World Championship suggested. Will this tournament see a breakthrough for her? 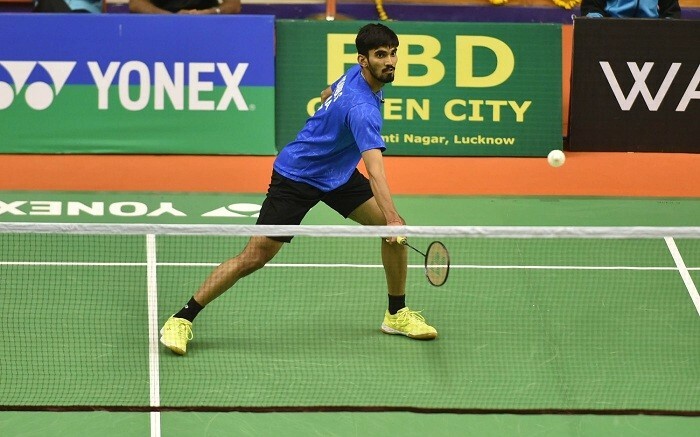 Kidambi Srikanth would be among four major Indian players in men's singles drawReuters. Kento Momota: The world, Asian and All England champion is looking to recover from a shock round of 16 exit in Malaysia. There is no reason to believe that having got some days off, the Japanese won't be back at his best. Viktor Axelsen: Indian Open champion and All England runner-up, Viktor seems to have regained his old form. He too had a surprisingly early exit in Malaysia but may benefit from a few days' rest. Lin Dan: Arguably the greatest of all time, Lin Dan seemed a spent force. But the victory in Kuala Lumpur suggests there is still fuel left in the tank for the five-time world champion. Can he continue his good form? Or was it a flash in the pan? Chen Long: The Olympic champion has been so lacking in success, it's hard to believe that he is the gold-medallist from Rio. Reaching the final of the Malaysia Open could be a sign of change in fortune. Or was it just a fluke? Jonatan Christie: The Asian Games gold-medallist looked very impressive in the last World Tour event and gave a tough fight to Chen Long in the semi. Can he continue his good run? Indian quartet: Kidambi Srikanth has regained his primacy among Indian male shuttlers. But B Sai Praneeth's performance in Swiss Open earlier this year was mighty impressive as well. Sameer Verma was the only Indian in last year's World Tour Finals and has shown steady improvement. HS Prannoy, though, hasn't been very successful since his Asian Championship bronze of 2018. Which one of them will perform the best?